Thinking of investing in a new construction Lennar home? It was the biggest – and most costly – mistake I ever made. I had no idea at the time of the lack of consumer protections and recourse a homeowner of a new construction home has. I talk about consumer protections during a recent interview. In part two of my interview with the consumer review website, Pissed Consumer, I talk about how I found out the hard way the lack of consumer protections for a new construction Lennar home. You can find my Lennar review here. If you prefer reading, rather than watching the video, there is a summary and transcript below of the parts addressing the lack of consumer protections. 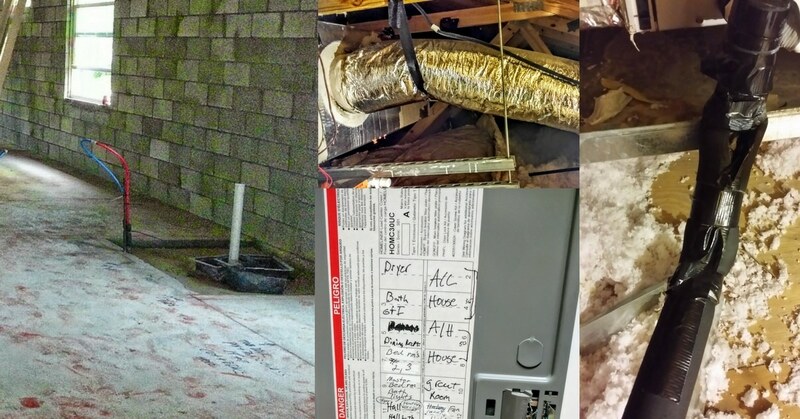 This will also give you an idea of why Lennar has a pattern of ignoring warranty complaints and the homeowners who are forced to live with them. You can also see the first part of my Lennar review here. I’m only going to talk about the state of Florida although most states are very similar with respect to new home construction consumer protections. If you buy a new car there are lemon laws in almost every state. What that basically means is that you can go to the Attorney General (of the state) if you aren’t getting resolution and they have hotlines and forms and then the Attorney General does just about everything for you from a consumer standpoint to resolve the situation with a new/used car purchase. There is NOTHING like that with a new home construction as a consumer, especially in the state of Florida. In the state of Florida, what you have to do go through what’s called the 558 process. What that means is after you’ve gone through trying to get resolution with the Lennar builder (or any builder) for your documented construction defects, (I have more than 80 including two defective A/C units, two vent fire hazards that require part of the roof being ripped up, a sewer cleanout that is not at code as just some examples), you have to hire an construction attorney team – that you must pay for YOURSELF. And this is the ridiculous part – BEFORE you can file a lawsuit against the builder in the state of Florida, you have to go through this process which involves submitting the construction complaints. The builder then gets the right to inspect and respond. To have gotten to the point of the 558 process, the homeowner has already done ALL OF THIS with the Lennar builder many, many times. You have to endure it again – and pay attorney expenses. It’s Florida’s way of protecting new construction builders against lawsuits. In my case, it was well over TWO years of fighting with Lennar over construction defects, just to get to the point of the 558 process in the state of Florida. Here is a construction defects spreadsheet I’ve kept over the years to show how tedious the process is and how the Lennar builder constantly changes their responses. Only after having gone through the 558 process can you then file a lawsuit against the builder. In my case, it was almost $100,000 in attorney fees just to get to the 558 process. What makes this even better? The majority of construction attorneys also defends the builders in these lawsuits. Stop protecting the builder! I’m not just talking about Lennar. The 558 process is designed to protect the builder – not the consumer. If you talk to any construction attorney, they are going to tell you that to fight a construction case, it’s going to take a MINIMUM $50,000 but more at the end of a $100,000. That’s out of your own pocket. The average new construction home by Lennar is just a little over $200,000. Sounds insane right? Read more about the lack of protections in a Lennar home warranty. You’re not going to get reimbursed for those attorney fees. The only thing you’re going to get with all those attorney fees (at best) is the house for which you already paid! You’re not going to get compensation for lost work time, effort, stress the Lennar builder imposes on you, the health issues, the mold you’re forced to live around, or any of that. Even if I was to continue spending another $100,000 on attorney fees, the most I can hope for – the most anyone can hope for – in these cases you simply get what you paid for originally. And based on how Lennar operates, they clearly know this. I would tell anyone who is viewing (or reading) this to be very careful if you buy new home construction. You really have no recourse, no rights, and no protections. Lennar knows this and I’m confident has also worked very hard to make it that way.